Texas Attorney General Ken Paxton announced Monday that both Nevada and Tennessee have joined the Lone Star state's challenge of President Obama's executive amnesty, bringing the total number of states fighting Obama's unilateral immigration policies to 26. Obama lawyer Kathleen Hartnett disputed that claim, insisting that new arrivals will not come “on the expectation of receiving deferred action because they will be turned away." "His policy only applies to people who have been here since 2012," she said. Judge Hanen is not likely to buy that administration argument. In a 2013 case, Hanen predicted that Obama's lax border enforcement policies would lead to a wave of illegal immigration. And that is exactly what happened in 2014. Texas and the other 25 states are asking Judge Hanen to issue an injunction that would stop Obama from giving out any work permits before the program gets up and running in May. 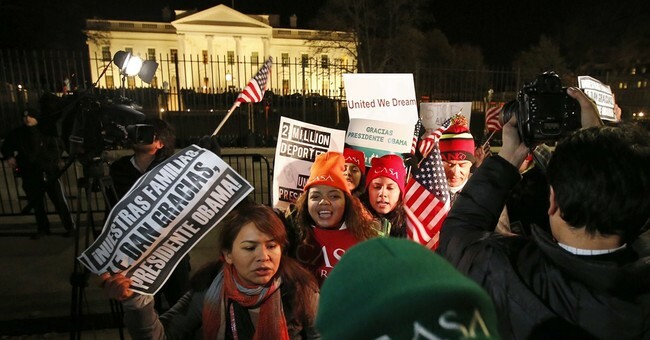 If Obama's amnesty does stand it will cost taxpayers billions in tax credits every year. With Tennessee and Nevada, the full list of 26 states suing Obama over his executive amnesty are: Alabama, Arizona, Arkansas, Florida, Georgia, Idaho, Indiana, Kansas, Louisiana, Maine, Michigan, Mississippi, Montana, Nebraska, Nevada, North Carolina, North Dakota, Ohio, Oklahoma, South Carolina, South Dakota, Tennessee, Utah, West Virginia, Wisconsin.